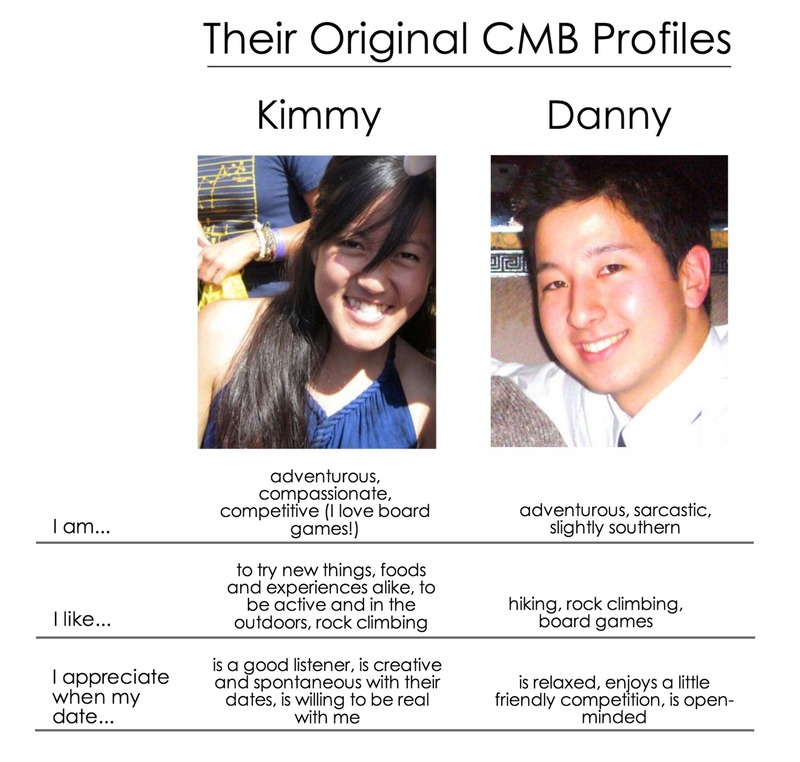 “You never know when you’re going to meet someone special,” Danny and Kimmy’s advice to singles begins, “but when you do it is glaringly obvious you have.” With their unique mutual interests—rock climbing and strategy board games—it might have been obvious that their match would turn into something beautiful. “Once I read his profile, I knew I had to click ‘like’.” Kimmy says, “we could be both outdoorsy and nerdy together (sporcle, anyone? ).” Common interests turned into chemistry when they met at Oakland’s Dogwood on the 20th of August in 2013. “We ended up staying and talking for 4 hours,” they add. Though, officially their anniversary is October 1st. Even more surprising? Danny was Kimmy’s first bagel. Sometimes, it only takes one. 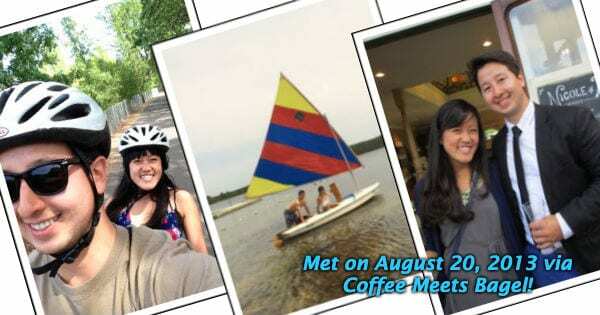 If you liked this post, check out How I Met The Love Of My Life Through Coffee Meets Bagel. Online dating can be a serious grind at times. Even on CMB, where your daily matches are highly curated and personalized to your network and tastes! Can’t we just meet people organically and naturally within our daily lives? Oh, you mean the daily life where you’re not in school, working full-time, and mostly just head home after work? Yeah… good luck with that. It’s 2014, and if you haven’t noticed yet, online dating is the new organic! By the time you are connected on CMB, the goal should be to begin a conversation as organically as this new medium allows. Therefore, from my years as an online dating coach, (including authoring a book specifically for CMB) I present my 5 Fundamental Texting Commandments. Thou shalt actually message them. We all know that there is a horrendous drop-off between who you match with, and who you actually talk to with online dating. Maybe you’re busy, you need to travel, or you just plain forget sometimes. I get that. But barring life circumstances, there is no reason to not take a chance on beginning a conversation with someone that there is a mutual attraction with. That’s the beauty of the mutual-like system – rejection is an afterthought. You’re also not committing to marry them by starting a conversation. Go for it! Thou shalt not job interview. Nothing is more tiring or annoying than having the same conversation every day. What did you do this weekend? Where are you from? What do you do? Here’s a tip – pick a topic, stick to it for a while, and dig into it. Thou shalt get offline as soon as possible. A point that needs to be repeated – you’re on a DATING site/app. Ain’t nobody got time to message for weeks upon weeks before meeting up. Wouldn’t you rather test if you have actual chemistry rather than text chemistry? By the way, if you’re at the point where you feel like you can ask someone out… you probably could have a few texts ago! Thou shalt not use texts that are dependent on responses. You’re having a great conversation. You ask them a question. And then they disappear for 8 hours. All the while you’re anxiously checking your texts because you asked them a direct question, and they failed to answer! That means they’re ignoring you, right? Did they get bored of you? Did a truck run over them? Wait, are they still even on the app? See this insane train of thought? If you don’t use texts that are dependent on responses, you won’t always be waiting on one and driving yourself crazy. Thou shalt not wait hours to respond just to manipulate your availability. Let’s be better than the 3-day rule of texting, or whatever the kids are calling it these days. Feel free to not reply to them within seconds of receiving their texts, but don’t play it cool by always waiting hours or days to reply. It’s transparent, passive-aggressive, and usually serves to annoy the other party than entice them. Here’s a simple guideline: mirror the intervals at which they reply to you! Read more from Patrick at Patrick King Consulting, and check out his best-selling CMB-focused online dating book on Amazon. 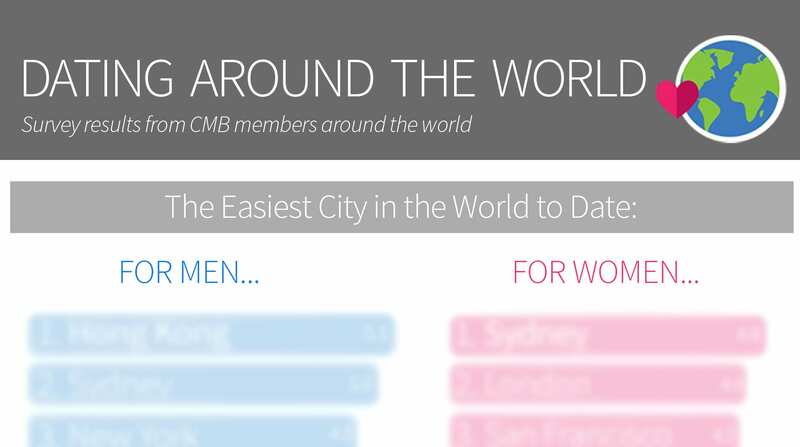 Interning at CMB has given me a lot of insight into what really goes into running a dating app (one of best according to iTunes). It’s also fun because my friends and family always ask me, “Do you get to pick all of your matches?” And the answer to that is no, with some laughter added in. I’ve recently decided that I was ready to start dating after getting over a past relationship. I won’t get into too much about it except for the fact that there was a bit of emotional scarring, and that it does take me a while to get over things like breakups. I didn’t feel completely free and ready to mingle until a year and a half after my relationship ended. But the world of online dating is relatively new to me. I’ve been a CMB member for a little over a year now, and out of those 365 days that I’ve gotten matches, I’ve been only connected with 10 people. 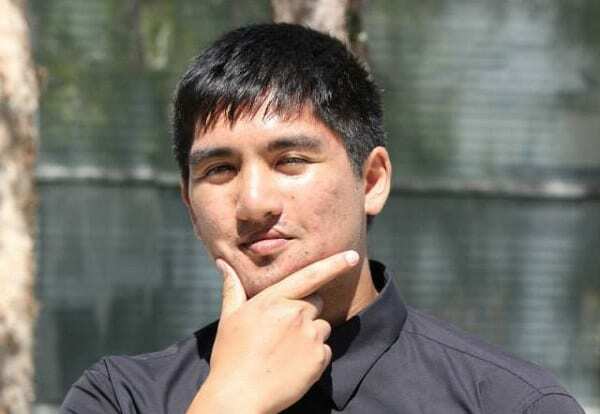 Normally I would just joke to myself that the ladies who have said no to me can’t handle my sheer sexiness, but I’m sure they had their reasons for passing on me. That being said, I usually hit the like button whenever I get a fresh bagel. One day in June, I got match with a lovely young woman who worked at Microsoft. We connected and started talking through CMB’s new messenger feature on their app, which made things a lot more convenient than the old third party text you would get. We just had some small talk for a day or two about our backgrounds until she suggested meeting up one day. Naturally I said yes, and told her about my favorite Thai place in downtown San Francisco (and, no, it’s not pronounced “San Fran” to our visitors). She was down for Thai and we decided on a day that worked best for us. We exchanged numbers to make sure we would still be in contact should there be any confusion on our meeting place. The feeling you get when you have the chance to go out on a date with a girl you met online is comparable to that of a giddy schoolgirl getting ready to go to her first Justin Bieber concert. As you can imagine, the day of the date I woke up excited. I put on my best button up shirt, a nice pair of jeans, and Nikes that complimented my outfit. My whole day in the office was kind of a blur because I was getting ready for the night, arming my arsenal of puns and conversation topics. Finally, the work day was over, and I was off on my adventure for the night. That feeling when you’re about to go on your first date. We met at the cable car turnaround on Powell St. across the street from the mall. She was wearing a yellow dress and had a smile on her face as bright as the sun. I jokingly told her that the restaurant we were about to walk to was in the Tenderloin (one of the poorer areas of SF), and she laughed along as we walked a couple blocks to our destination. We were seated immediately upon entering the restaurant. Scanning the restaurant, I noticed it was fairly busy for a weeknight, but that didn’t seem to bother me. I was on my first date in over a year and was already having a great time. We looked at the menu, and a few jokes and 10 minutes later we decided on splitting spring rolls, pineapple fried rice, and a bowl of mild green curry. During the meal we discussed how we happened to find our current occupations. She had interned at Microsoft before getting hired; she had gotten the chance to work at Tesla before moving to the Bay Area. It was pretty interesting to hear about what she did at Microsoft. It was stuff I would never be able to do, but I do give her mad respect for going into the tech field. She joked about being one of the only women in her department, talking about how much of a sausage-fest it was. I compared that to the online dating scene and how CMB set out to change the image of online dating. I used a few puns from my arsenal and got her laughing a bit to lighten up the mood. In short, we had a great conversation over dinner. When we had finished eating I used the restroom, and when I got back I had found out she had already taken care of the bill! I immediately thanked her and asked why she paid. Her response: she believed that men shouldn’t always have to pay on the first date. I was cool with that, but I felt that I should pay her back for getting the bill. I suggested getting a cup of coffee to end the night. We found ourselves sitting at the nearest Starbucks continuing our conversation from dinner; this time I made sure I paid for our drinks. I was still using some of my puns, which to my surprise still had her giggling. We talked about how she had to wake up early for her job and how she spent most of her day at work. It wasn’t a buzz kill for the night, but it did serve as a reminder that we couldn’t stay out too late. After our coffee session, we hopped on BART to get home. She was heading to Milbrae, and I to Daly City. We were both tired, but knew we had a great time. It was hard to talk on the ride back because of the noise the train generates when it goes through the tunnel. When we got to my stop, I said goodbye and gave her a hug and was on my merry way. We texted each other later that night to make sure that we both got home safely. We talked about grabbing a cup of coffee on another day, but we still have yet to do that. The overall experience of going on an actual date was exciting. And by “actual date,” I mean meeting a girl who I have just connected over a dating app, and going out with her. I can see why online dating is becoming more mainstream these days, especially among people my age. As a young 20-something who is trying to start my life, finding a relationship is not always my top priority – but dating apps make the process very easy. As for me, I’m still going to be liking every bagel I get. Don’t get me wrong though, I would still love to, and plan to meet up with the girl from Microsoft for that cup of coffee we talked about. There are very few “taboo” subjects anymore, but two of the biggest are probably online dating and depression. In this post, I’ll tackle both – so bear with me! I hope it provides insight into how online dating can create more meaningful connections than simple hookups – and can actually help bring someone out of a funk. I remember on my flight back to San Francisco after graduating from college thinking that I had it made. A great career in marketing starting, a return to my home town (Bay Area!) and a 1BR flat in San Francisco all to myself. Oh, and a four year degree from a good school was a perk too. “These are the best years of your life,” I was told by more mature people around me. And they were amazing! But what told me about are those nights you may end up going home and have nothing to do. No one reminds you that post-college, you may like to “think” you will reconnect with your High School friends, but that was a world away. Alumni groups? Sure, they are great for networking, but even in a major city like San Francisco I found opportunities to meet people few and fleeting. 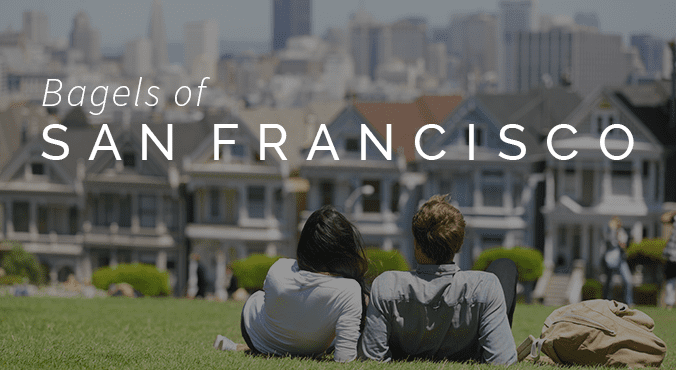 San Francisco in particular is unique because of the tech boom. I began my professional life working in packaged goods, an enviable job, but one that surrounded me with people at a different life-stage than me. Most were married, and many had kids already. As for why I didn’t just move to tech – it’s a very insulated culture that usually requires you to have either started at one of the “big firms” (e.g. Google, Facebook) or grow up in the finance community backing these startups. So how does this lead to depression? Yes, all of these are truths relate to me. 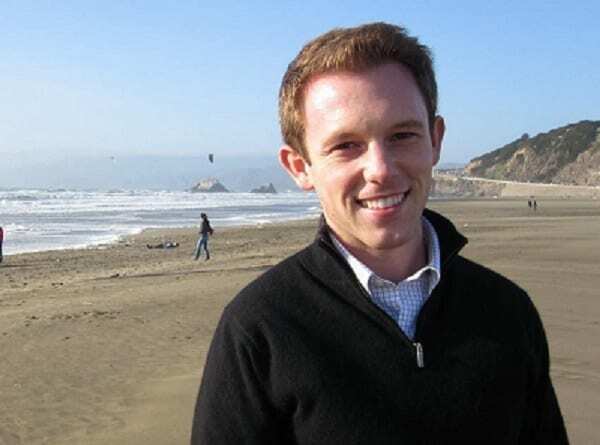 A single guy, living in the “Gay Mecca” neighborhood of San Francisco, marketing kitty litter. Needless to say, not exactly the best setup for a social life. While I may be a slight outlier, I’m sure many recent-grads will back me up when I say: the “golden twenties” are filled with those nights where you may just want to stay in, curl up and binge-watch Netflix. You can’t have a relationship with your Roku, though. So I asked around – my friends, their friends, and one astute friend of mine suggested online dating. And then another. Soon enough, I had at least a handful of friends who made me feel there wasn’t much of a stigma associated with it at all. I decided to give it a try. And what did I find? Tons of people in the same boat as me. Most dates were very casual, and just involved the standard get-to-know you questions. But others made me think. A few opened me up to new experiences and hobbies – I’m looking at you, AcroYoga. Sure, I had some interesting experiences. Showing up to a date only to learn it was a “polyamorous coven” that practiced Wicca took the cake for me. But I also met some really close friends, who ended up not being the “bagel of my dreams” but still a great partner for a morning coffee. Since venturing beyond my comfort zone and exploring online dating, I have had plenty of experiences to learn and grow. Even the worst dates were insightful, in retrospect. And I have learned to listen more, talk a lot less, and see things from the other side of the screen. So how’d that cure depression, you ask? People who go through a depressing period may reply “it’s managed, not cured.” In my case, I have a great network of new friends, with new hobbies, and a new way to meet people in a more intimate one-on-one setting. And many of these friends I met through online dating. I’m a happier person because of the learning experiences I have had, and learned to meet new people in fun and interesting ways.